Risen is a film about the ressurection of Jesus Christ. Risen tells of the first 40 days after the resurrection of Jesus through eyes of the agnostic Roman centurion charged by Pontius Pilate to investigate rumors of a risen Jewish messiah and locate the missing body of Jesus of Nazareth in order to subdue an imminent uprising in Jerusalem. The centurion meets the Apostles and other historical and biblical characters, and as he continues his investigations, his beliefs are altered. The movie press release presents "Risen" as a sort of continuation to "Passion of the Christ," although promoters do not directly refer to the film by its name: "Twelve years after the blockbuster film about Jesus' crucifixion and many others like it, RISEN picks up where that film dropped off in the biblical story of Jesus' death, resurrection and ascension." 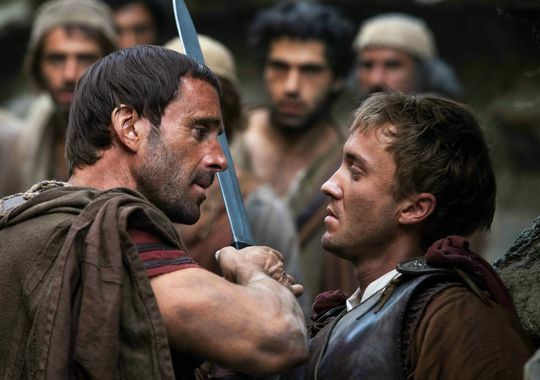 The film casts Cliff Curtis ("Live Free or Die Hard" and "Training Day") stars as Jesus, Joseph Fiennes ("Shakespeare in Love") as Clavius, and Peter Firth ("Pearl Harbor") as Pontius Pilate, the Roman governor of Judea who sentenced Jesus to death.